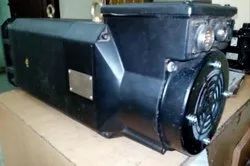 Pioneers in the industry, we offer servo amplifier repair, used servo motors, electronics refurbishing solutions, electronic repair recycling service, mr-j2s-40a mitsubishi servo drive (refurbished) and mds-a-svj-06 mitsubishi servo drive (refurbished) from India. Condition: Used. Tested. 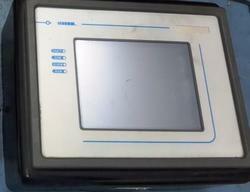 Fully refurbished.good condition.we have this MDS-A-SVJ-10 ac servo amplifier in stock. 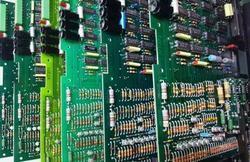 we buy and sell industrial electronics equipment and refurbishing service. 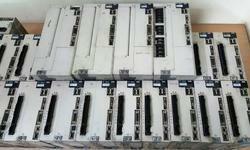 We Buy, Sell, & Exchange Industrial Electronics Equipment and Surplus Parts & Equipment. We Buy all types of industrial surplus items from MRO inventories to entire factories. Below is a list of the types of things we buy. We are one of the leading National service providers and have 15 years experience in the field of Ac drives,Dc drives,servo motors, Servo Drives, PCB, PLCs & Industrial Electronic Repair & Maintenance. ABB, acrison, amicon, baldor, bbc-veritron, bodine electric, borg warneri, boston gear, browning, burton, carotron, cleaver brooks, contrex, control techniques, csr contraves, cutler hammer, danfoss, dart controls, doer, electrol, emerson, eurotherm, extech, fenner, fincor, gaston county, general electric, graham, kb electronics, klockner-moeller, ktk ltd, leesona, lenze, louis allis, magnetek, meltex, minarik, morse, muller, p & h, parametrics, polyspede, powertron, punos elektri, randtronics, robicon, sabina, satronics, seco, siemens, southcon, SSD, sterling, electric, stock equipment co, stromag, U. S. Motors, westinghouse, woods, etc. .
We service, repair, replace, built, rebuild, regrind, recondition, refurbish, re manufacture, retrofit and overhaul all AC drives and servo drive and motor. 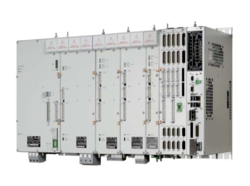 We are one of the leading National service providers and have 15 years experience in the field of Ac drives,converter ,inverter ,Dc drives,servo motors, Servo Drives, PCB, PLCs & Industrial Electronic Repair & Maintenance. 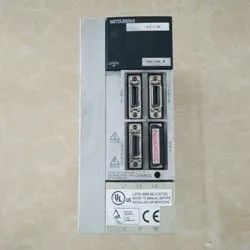 Star Automations service can provide Quality repairs for manufacturers such as ABB, Alstom, Allen bradly ,acrison, amicon, baldor, bbc-veritron, bodine electric, borg warneri, boston gear, browning, burton, carotron, cleaver brooks, contrex, converteam MV3000, converteam alspa gd delta rectifier,control techniques, csr contraves, cutler hammer, danfoss, dart controls, doer, electrol, emerson, eurotherm, extech, fenner, fincor, gaston county, general electric, graham, kb electronics, klockner-moeller, ktk ltd, leesona, lenze, louis allis, magnetek, meltex, minarik, morse, muller, P & H, parametrics, polyspede, powertron, powerflex 7000, punos elektri,Robicon mv drives , randtronics, robicon,Railways converter ,inverter cards,sabina,siemens sinamics G150-c, satronics, seco, siemens, southcon, ssd, sterling, electric, stock equipment co, stromag, U. S. Motors, westinghouse, woods, etc. .
We service, repair, replace, built, rebuild, regrind, recondition, refurbish, re manufacture, retrofit and overhaul all DC drives and servo drive and motor. We offers B&R make ACOPOS 1022 servo drive, we are specialized in providing technical solutions and consultancy for these products. Condition- Refurbishment, tested, good condition. 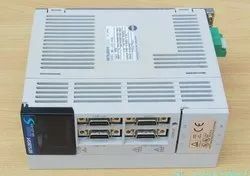 Our sales representatives can provide you with a pricing and availability quote for ACOPOS 1022 servo drive. We offers ACOPOS 1045 servo drive, we are specialized in providing technical solutions and consultancy for these products. 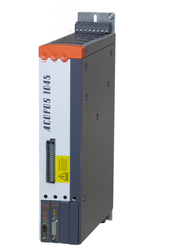 Our sales representatives can provide you with a pricing and availability quote for ACOPOS 1045 servo drive. Designed to meet your needs ,Prototypes in basic and innovative technologies. Looking for Refurbishment Drive ?